The Waterfront: Thank you Jane! 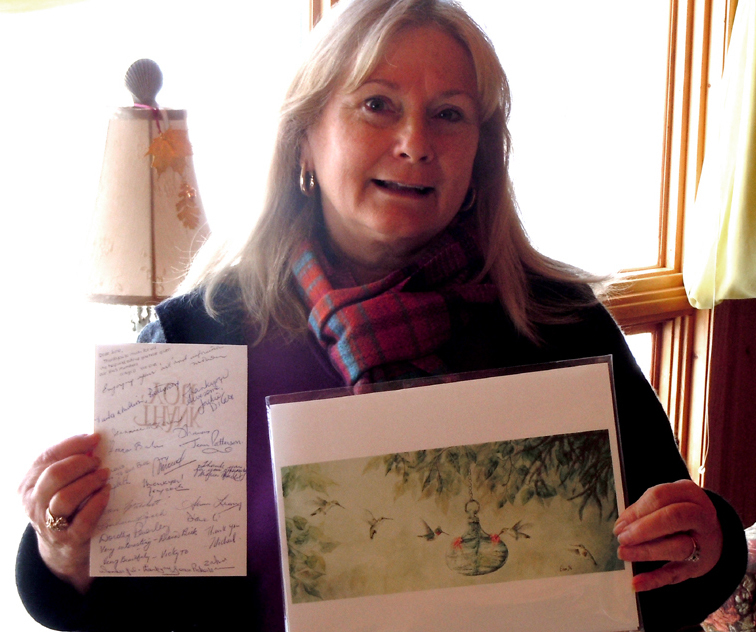 Jane Freeman sent me this photo today of herself with her card from us all and a print I sent her as a thank you. Thank you again Jane for being our January Artist of the month and sharing so much with us. I hope you will continue to pop in to the Waterfront and say hi to us all from time to time. I echo Ona's sentiments. It has been such an honour and a treat to have you as our very first "Artist of the month". We have learned such a lot from sharing your tips and enthusiastic encouragement. We'll look forward to staying in touch with you on our blog in the future.